The 2015 London Open took place at Redbridge Sports And Leisure Centre from the 25th – 27th September. 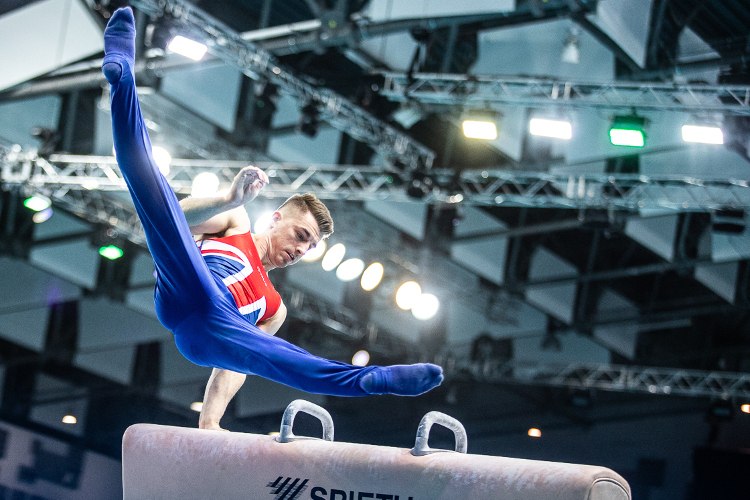 The competition saw some of the youngest men’s artistic gymnasts battling it out for titles alongside top senior gymnasts trialling for the 2015 World Championships taking place in Glasgow in less than a month’s time. 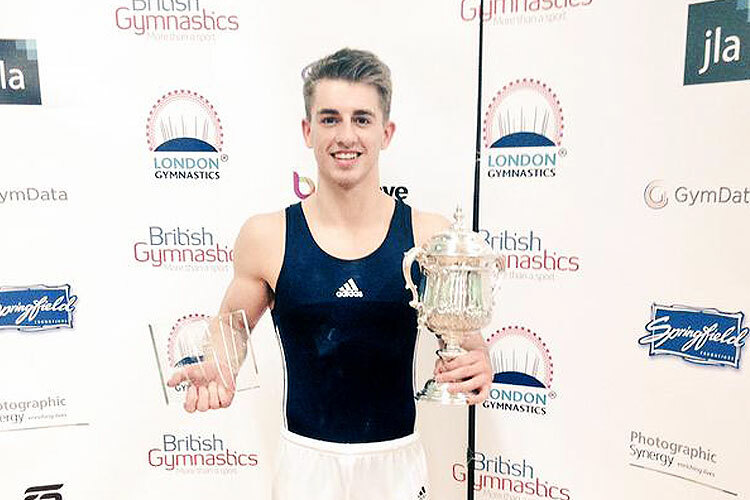 The senior competition (Westminster Cup) was won by South Essex’s Max Whitlock. Max scored a personal best all-around score of 91.600 which shows an incredible improvement after a tough year struggling with illness. This world class score shows Max is in great form to challenge the world’s best in Glasgow. 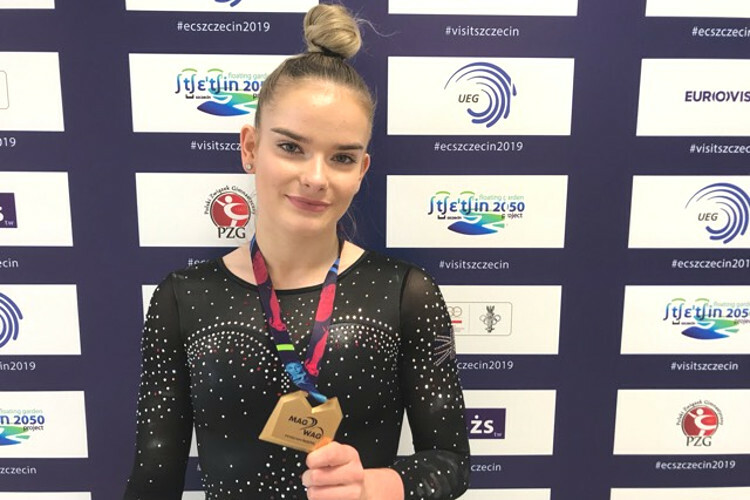 Not only an incredible all-around score, Max also impressed on individual apparatus scoring 16.300 on the pommels, 15.700 on the floor and 15.100 on the parallel bars. In the silver medal position was Leeds’ Nile Wilson who also scored a personal best in the all-around with 88.800 which included a 15.250 on parallel bars, 15.000 on vault and 14.950 on the rings. Completing the top three was Max’s South Essex teammate Brinn Bevan who continues to impress in his first year as a senior gymnast. Brinn took the bronze medal with 87.750. 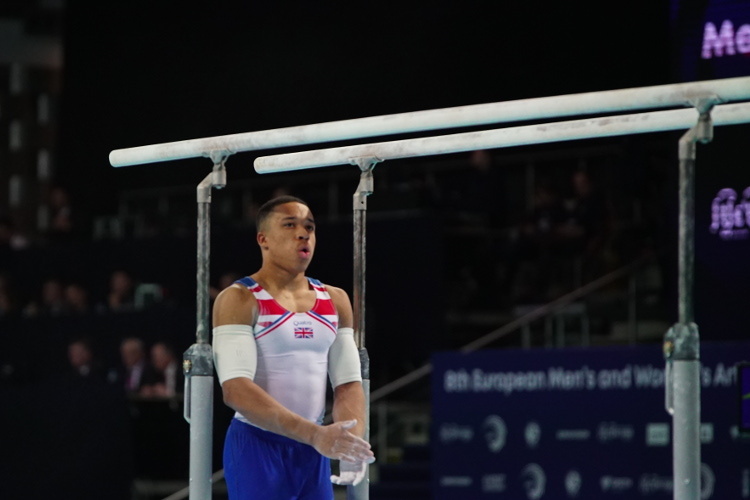 Brinn also looked solid on the parallel bars with 15.050. In 4th was Southport’s Daniel Purvis with 85.800 who notably scored 15.650 on the parallel bars to take the gold, in 5th was Pegasus’ James Hall with 85.000 and in 6th another South Essex gymnast Reiss Beckford with 84.600 which proved a successful day for South Essex Head Coach Scott Hann and his team. Other notable performances came from Kristian Thomas (Earls) who scored 15.500 to win the vault and 15.050 to win the high bar. 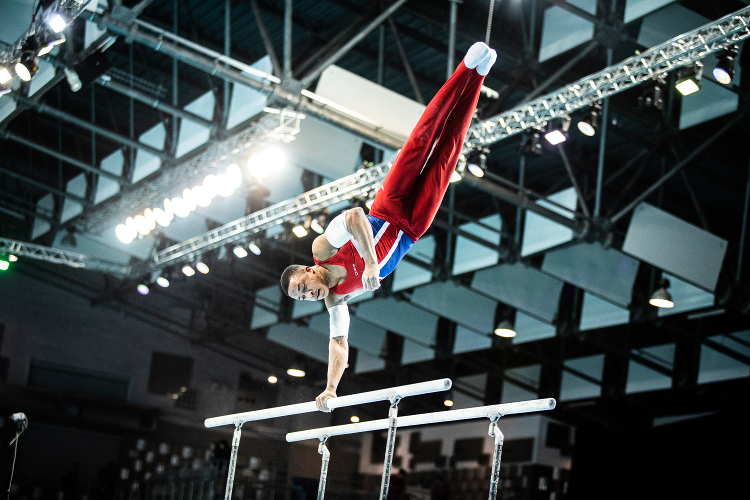 It was also another close battle on the pommel horse between Huntingdon pair Louis Smith and Daniel Keatings. Louis scored an impressive 15.950 to take silver behind Max, and Dan finished very closely behind with 15.900. Parallel bars proved to be a strong piece with Ashley Watson (Leeds) taking silver with 15.400 and Frank Baines (Southport) the bronze with 15.300. Taking the final apparatus title was Courtney Tulloch (Pegasus) on the rings with 15.450. Congratulations to all gymnasts, coaches and officials on a very successful event.